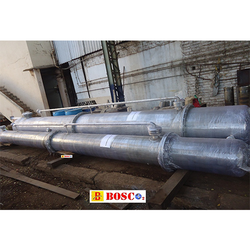 Manufacturer & Exporter of SS Scrubber. Our product range also comprises of CO2 Recovery Plant, CO2 Storage Tank and CO2 Generation Plant. SS Scrubber offeredcomes in the quality finish and provides for highly effective scrubbing support of industrial pipelines and other equipment/products. Further, the strong finish of the scrubbers allows for superior cleaning action that allows for cleaning of stubborn stains. Some of its features include high-quality construction finish; available at competitive prices; available in different design choices; can also be developed to OEM specifications as per the requirements of customers. Looking for SS Scrubber ?